Wall of Fame election is now underway on this website. Voters have until 5 p.m. on March 20 to vote. Twelve Alumni are on the ballot. New names are 3B Pinky Whitney, 1B Fred Luderus and two managers, Danny Ozark and Harry Wright. Complete details are at http://www.phillies.com/alumni. Annual induction ceremonies will take place on Friday, August 2. The friendly calendar on the wall says is it February 28, the last day of the month. Today is the sixth game this month, something that’s never happened before. The World Baseball Classic, March 3-19, is the reason for the earlier start this year. Will baseball ever become a year that starts on Valentine’s Day and ends on Halloween? By contrast, Phillies spring training 70 years ago started on March 15 and ended on April 14. Regular season was 154 games in those days. Jim Fregosi, special assistant to the Braves GM, Roger McDowell, their pitching coach and Gene Garber, guest pitching instructor, are at today’s game. MLB has begun to spit out spring training stats. Domonic leads the NL with six runs scored . . . Howard is among the leading hitters at .500 . . . Nine Phillies errors have let to six unearned runs . . . Bright House Field average attendance of 6,193 is second to the Yankees among Florida teams. Bus leaves 9:45 a.m. tomorrow for a trip to Tampa and a game with the Yankees. Phillies will dress there and take BP . . . Tomorrow’s game will be taped and aired on the MLB network at 4 p.m.
Why it is called a sacrifice hit when it isn’t a hit? Quiet day at Bright House Field. Bus for Ft. Myers left at 7:45 a.m. for a game against the Twins. One other trip to this city is March 21 against the Red Sox who also train in Ft. Myers. Making the trip in two cars were Ruben, Proefrock, Green, Kerfeld, Ondo and Hollins. There are two indoor batting cages at Bright House, both with astro turf. One of the cages has a pitching machine. Both cages can be used for extra hitting. Both cages also have mound so pitchers can use them, too. **Pick up baseballs when finished. Back home Thursday afternoon for a game against the Braves . . . Friday and Saturday are road games, two short trips, Tampa and Dunedin respectively . . . Minor league staff is holding an all-day meeting today in the Paul Owens Training Facility at Carpenter Complex. Full squad of minor leaguers works out for the first time on Sunday. 170 players are expected. “When I was six years old, I went to spring training in Tampa because my dad was the president of the Reds. The players stayed at the Floridian Hotel. Elevators in those days were manually operated with a wheel-like device. I spent a lot of time as the elevator operator. With the players union meeting out of the way, the players were ready to begin today’s schedule. But, Mother Nature said no. Showers in mid morning changed the schedule. Hitters went to the new indoor batting cages at Carpenter Complex. Doc got his scheduled throwing in the indoor cage at Bright House. During a pause in the precipitation, some players went to Carpenter Complex to get in some running, long tossing, etc. Kyle, today’s pitcher, sat in front of his locker and inquired as to the forecast which is iffy. “I want to pitch,” he said. The infield at Bright House Field had a tarp on since post-game on Monday. Every effort will be made to play the game, although the start could be delayed. Travel roster on the bulletin board lists 7:45 a.m. departure for the 125-mile trip to Ft. Myers (Twins) tomorrow. Among the regulars are Ruiz, Howard, Revere, Ruf and Brown . . . Hall of Famer Jim Bunning will be at the game. Clubhouse closed to media in the morning today and tomorrow. Baseball Assistance Team (B.A.T.) had an 8 a.m. meeting with the team this morning. Tomorrow morning, the Major League Baseball Players Association will be here at 8:30, a meeting that usually lasts a couple of hours. MLBPA visits every camp during the spring. Tomorrow is also the ESPN Spring Training Bus visit, Tim Kirkjian and John Kruk, the K&K team. Weather tomorrow for the home game with the Yankees is iffy. Today’s game is on the Comcast Network in Philly and nationwide on the MLB Network . 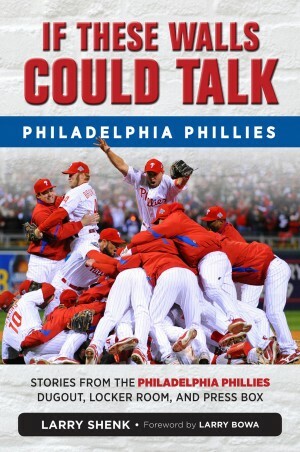 . . Charlie’s Phillies spring training record is 116-117, 15 ties . . . XM radio did a morning show from Bright House today . . . Valle worked on the half field with Billmeyer and Ernie Whitt, minor league catching instructor while the Tigers took BP. On this date in Phillies history, 1972, the Phillies traded Rick Wise to the Cardinals for Steve Carlton, a deal that wasn’t very popular at the time. It turned out to be the last trade for GM John Quinn. He was replaced that June by farm director Paul Owens. Don’t forget, visit http://www.phillies.com/alumni for vintage photos and features on Phillies alumni. Question was posted on last blog, wondering about the annual fan voting for the Phillies Wall of Fame. It should be posted on this site this week. Every team has non-roster players in camp. Former Phillies are scattered around the baseball camps this spring, Marlon Byrd (Mets), Nelson Figueroa (Diamondbacks), Mike Fontenot (Rays), Ben Francisco (Indians), Freddy Garcia (Padres), Tuffy Gosewich (Diamondbacks), Chad Qualls (Marlins), Cody Ransom (Padres), Wilson Valdez (Giants) and Mike Zagurski (Pirates). Alumni who are managers: Dale Sveum (Cubs), Terry Francona (Indians), Ron Roenicke (Brewers) and Davy Johnson (Nationals). “I was invited to big league camp my first year out of Baylor University in 1989. I was so excited that I reported to camp early, on February 12. Nobody was in the locker room, but I worked out anyway. My first number for camp was 45. My roommate was Jason Grimsley. “My fondest memory was putting on my uniform for the first time. I don’t think my feet ever hit the floor that day. It was like I was in a dream. I really enjoyed getting a chance to meet the coaches and players, who I had admired and watched play. I remember meeting Larry Bowa, thinking that I had watched him play against the Astros in the 1980 playoffs that still ranks as one of the best divisional playoff series in the history of baseball. I remember mentioning to ‘Bo’ that I was 12 years old and in the Astrodome watching Game 5. He laughed and told me that it ranked as one of his fondest baseball memories. From my perspective after decades of spring trainings, this time of the year has three phases: can’t wait to get here (I), can’t wait to start playing games (II) and can’t wait to get out of here (III). Who’ll go north? We start finding out on Saturday, the opening day of the Grapefruit League. Many of the roster spots are set. But, there are some openings. And, there are impressions to be made should the Phillies need help in the season from their minor leaguers. Two players are out of options, INF Kevin Fransden and OF John Mayberry Jr.
On Sunday, the Phillies head east for Lakeland and a meeting with the defending American League champion Detroit Tigers. On Saturday, a new sheet of paper will be posted on the clubhouse bulletin board. It will be a roster of all the players in camp. If your name is circled, congratulations, you have a seat on the bus. Phillies are back home Monday (Tigers) and Tuesday (Yankees) afternoons. Para Commandos will parachute into Bright House Field about 15 minutes before the 1 o’clock game time . . . City dignitaries and Phillies top level executives will be introduced on the field; Scott Palmer will be the MC . . . Fans will receive a Coors Light Cooler Bag . . . Clearwater Mayor George Cretekos and former Phillies coach and manager, Lee Elia, will throw out the first balls . . . Topping off opening day will be Phillie Phanatic’s first appearance of 2013. Hey, the Phanatic needs spring training, too. Lee Elia (CH, 1980-81; 1985-87; MGR (1987-88)“First spring training was with the Phillies minor league camp in 1959 in Kissimmee, Florida. I don’t remember my uniform number but it was up there in the 60s or 70s. I couldn’t believe there were that many players in the camp, which really was for the Class A players only. We lived in a hotel, six to a room. If a roommate got released, someone else moved in. Shotgun start for the team golf outing is 1:30 p.m. Don’t know whether to turn to the Golf Channel or Comedy Channel to catch the action. A group of pitchers were back throwing BP in the morning. Kendrick and Cook were up to maximum 40 pitches. Goal for pitchers by the end of camp is 75 pitches in a game. Hitters, 100 spring at-bats. Friday, 12 noon intra-squad game that is open to the public free of charge. Gates open at 10:35 p.m., the normal time for any Bright House Field day game. Opening day down here is Saturday, Astros, 1:05 p.m. Game will be televised back to Philadelphia on The Comcast Network and broadcast WPHT Radio. The voices of summer return. Phillies have 19 games on television this spring. Nearby Rays, four. Plus, ESPN will be televising three Phillies games. And, you can watch the games or listen through MLB.com. Only game that is not on any broadcast schedule is March 8, Rays in Port Charlotte. Gordon Lakey, Dave Hollins, Howie Freiling, Bart Braun and Ed Wade arrive Friday and will be here through Tuesday. Lakey and Braun then move to Arizona with the other three assigned teams in Florida. Ray Burris, the new pitching coach at Lehigh Valley, is the only Chicago pitcher who didn’t give up a run in the Phillies 23-22 win at Wrigley Field in 1979. Burris tossed 1.2 innings in the wild game. If the billions of deleted e-mails are causing the global warming? Shorter day today and again Thursday. BP today was limited to coaches throwing, no live BP from pitchers. Tomorrow is the annual team golf outing in the afternoon. For Charlie and his staff, the day begins with an 8 a.m. meeting to review yesterday and the schedule for today. Catchers have a daily meeting 30 minutes later. Purpose is to review the pitchers they caught the day before, pitches that worked, what didn’t and other observations. They also review the signals that will be used daily during the season. Samuel put pitchers through sliding drills today. In the old days, they had to put on special sliding pads. Now, they have sliding mats. Two pitchers were excused, Papelbon and Adams. “Do you ever see a closer or late inning guy bat? They can’t hit and don’t get on base,” he laughed. Pitchers also spent time on fielding drills on the half-field and bunting in the cages. There’s a new chart on the clubhouse bulletin board, pitching plans from the 23rd (first Grapefruit League game) through the 28th: those who are listed to pitch in a game, game back-ups, side work. Dubee organizes the list. The daily routine will change when the games begin. Mike Schmidt was in uniform as a guest instructor for the next four weeks. That gives the Phillies three Hall of Famers in camp, Ryne Sandberg and Pat Gillick being the others . . . Uniform numbers go from 2 (Ben Revere) to 80 (Zach Collier) . . . College baseball has started in parts of the country meaning Phillies amateur scouts have begun their work for the June draft. Bob Dernier (OF, 1980-83; 1988-89)“I went from Double-A to the majors in September, 1980 so I hadn’t been in a big league spring training camp before I got to the big leagues which was kind of unique. The following year, I was in camp with the World Champions at Jack Russell Stadium. It was exciting and at the same time, somewhat intimidating. But, Schmidt, Pete and Tug made me feel like I belonged. Warmer weather, more fans turned out for today’s workout at Carpenter Complex. Fans love watching batting practice. Hitters love batting practice. Monday, hitters weren’t anxious to get in the cage against Aumont who was bringing nasty heat. Check out Dallas Green’s memories of throwing BP in this blog. On the daily schedule, it says BP, live. That means pitchers throw to hitters. Then, the schedule says, BP, coaches. What do you call it when coaches throw BP? Dead-armed BP? In addition to the athletic training staff and condition staff, a doctor is on duty every day starting at 7 a.m. Players who aren’t feeling well are expected to arrive early and see the doctor . . . Breakfast is served for those who arrive early. One of the chefs from Lenny’s Restaurant prepares the breakfast options in the small lunch room . . . Mike Schmidt will be back in his #20 uniform on Wednesday as a guest instructor . 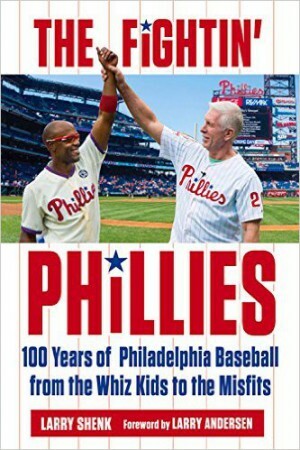 . . Charlie Manuel is doing a photo session with AARP Magazine on Wednesday . . . Also on tap Wednesday, MLB Productions . . . Sarge, Gary Matthews, has arrived . . . Tickets remain for the Grapefruit League opener Saturday afternoon against the American League Astros . . . Free admission for Friday’s 12 noon intra-squad game. Bright House Field gates open at 10:35 a.m. He posted a question about Bonnie Vukovich yesterday. Yes, she was an usherette at the Vet. That’s how she and John met. “It was 1956. Bob Conley, Don Cardwell, Chris Short and I were invited to a mini-camp before the big league camp opened in Clearwater. Short and I rode the train from Wilmington, Delaware. We stayed at the West Coast Hotel, three to a room. We weren’t allowed to have cars so we walked everywhere. “We were kept around to throw BP to Hamner, Jones, Ennis, Ashburn and those guys. We were young, wild, could throw hard and we were trying to impress everyone. The vets hated us, didn’t want to face us. Crowds have been on the small side for the workouts over the weekend but there’s a good reason….Florida had its coldest days of the winter. I’m sure those of you who are reading this in Alaska don’t want to hear about Florida’s cold weather. Frank Coppenbarger said it was the first time he’s ever had to scrape frost off his windshield. So, Monday is another day of full squad workouts, the third. First, all players had to go through photo day. That all started at 7 a.m. with still photographers and video folks setting up stations in the Bright House Field batting cages and outside the cages. Temperature was 39 degrees when the cameras began clicking. One of the stations was set up in the left field corner at Bright House Field. Because of the threat of frost, the sprinklers went off during photo day. Darin Ruf got sprayed by one of the sprinklers while having his photo taken. Rookie hazing? During spring training, the Phillies wear red jerseys and batting practice caps. Wire services and MLB licensees want the players in their home uniforms they wear during the season, pinstripe jerseys and the traditional red cap in the Phillies case. The communications department, which organizes photo day, keeps a supply of white pinstripe jerseys in Florida. They also have several boxes of the traditional red hats. Each player is instructed to carry his locker nameplate with him so the photographers know who they are filming. As was mentioned previously, the pitchers are divided into four groups for the daily workouts. Position players have two groups for fundamentals, two groups for infield drills and four groups for hitting. All players are expected to check the daily schedule posted in the clubhouse bulletin board every morning to know where they are supposed to go. All four fields at Carpenter Complex are is use daily. Workouts begin at 10 in the morning and end around 1 in the afternoon. The public is invited to watch the daily drills free of charge. With four fields, fans can roam the complex to see what is going on. Really neat atmosphere. Twenty-five people were on hand Friday afternoon for a memorial service for Bonnie Vukovich. Baseball Chapel President Vince Nauss oversaw the service in suite 206. Former Phillies pitcher, Robert Person, came to pay his respects . . . During Charlie’s post-workout media session on Friday, he addressed the question about not having a contract beyond this year. He wanted to get it out of the way and put it to bed so he won’t get asked over and over . . . FOX Business News was live from Carpenter Complex in the morning. “Sunday is the last Sunday of no baseball until November,” ESPN.com’s Jayson Stark. Monday: LHP Kyle Abbott (45). RHP Tyler Green (43) . . . Thursday: OF Ted Savage (76) . . . Friday: OF Joe Lefebvre (57), OF Mike Rogodzinski (65). Needles, EKGs, blood pressure readings are part of physical exams that the position players will go throw today. At 9:30 a.m. Saturday, there’s a meeting in the clubhouse. Executives, field staff, athletic trainers, clubhouse staff and several others will be introduced. The meeting traditionally concludes with the state of the union message by the President….I mean the manager. Everybody then heads out the north exit of Bright House Field for the four diamonds at Carpenter Field. Workouts will last beyond 12:45, the general ending time that pitchers and catchers have been experiencing since Wednesday. Hitters will get to take batting practice off coaches and instructors before facing live pitchers next week. At 7 a.m. on Monday, players will begin living up for the annual Photo Day. Wire service photographers, newspaper photographers and MLB licensees will take their traditional head shots, posted images and some video tapings. Daily workouts through next Thursday will be open to the public. Drills start at 10 a.m.
A week from today, an intra-squad game will be played at Bright House Field at 12 noon. Gates open at 10:35 and there will be no admission fee. Concessions stands, merchandise and tickets are all open. The first Grapefruit League game is a week from tomorrow, Saturday, the 23rd, against the American League Houston Astros. Yep, the Astros have switched leagues. Phillies home opener is April 4:05 p.m., Friday, April 5, also against an American League club, the Kansas City Royals.